Globes are 18 inches in diameter with a 5.91 inch flange with 4 notches that can be used as a solid flange or a twist lock neck. 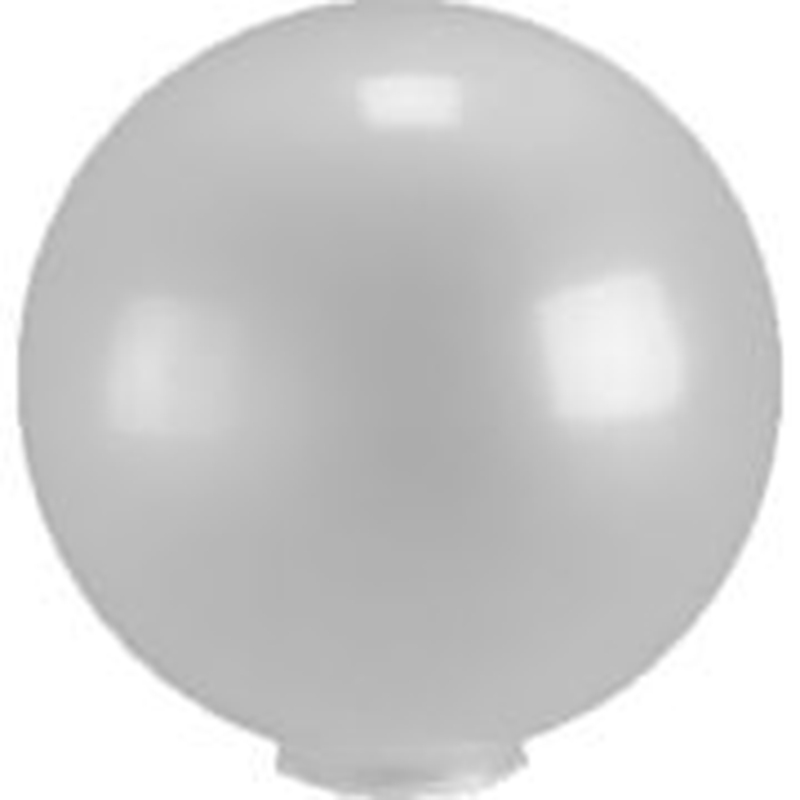 Globes are 18 inches in diameter, one piece injection blow molded acrylic, water and shatter resistant with UV inhibitors to help prevent yellowing. They have 5.91 inch flange with 4 notches that can be used as a solid flange or a twist lock neck. Please see diagram.